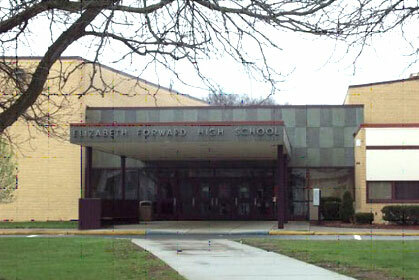 Elizabeth Forward High School, located 35 miles southeast of Pittsburgh, first contracted Thomas & Williamson for forensic engineering services  an analysis of a renovation program conducted a decade ago. After gaining a clear picture of that project's successes and shortcomings, the district agreed that it required a plan that addressed both long-range and short-term improvement goals. Our firm worked with the district to create a facility master plan in 1999. Our plan recommended a sequential list of projects that could gradually transform the school without breaking the budget. The district now relies on Thomas & Williamson to provide design, engineering, and construction management services for the following improvement projects.